While others train for hours on end, day after day, doing “all the right things” yet never seem to get much better? It’s not because of genetics. While genetics do play a factor in each fighter’s body type, capabilities, and style… good genetics aren’t enough to become a champion, especially in a combat sport where skill and intelligence are the great equalisers. According to the legendary teacher Yodtong, Samart Payakaroon had “small lungs” when he first came to the famed Sityodtong camp. Yet he still managed to overcome his unfavorable genetics, and became the fighter many consider to be the Greatest Of All Time. It’s not because they were “born talented”. No one is born with a championship belt around their waist and 100 fights “under their belt”. In the fight game, everyone starts at the bottom, no matter what talents and abilities they’re born with. Any natural talent has to be nurtured, trained, and developed through a relentless work ethic, determination, and dedication. And it takes tenacity, courage, and resilience to face struggle and hardship and make use of them. It’s not because of work ethic or dedication. The one who’s always willing to run the extra mile, do the extra push ups, and put in the extra rounds on the bag. When fight night comes, he’s never as strong or dominant as he trained to be. The elite know that the difference between good and great fighters is NOT the amount of time and effort spent training. It’s the laser focus on the quality and purpose of every moment in training that allows them to get more out of their limited time and energy. The ambitious yet average fighter doesn’t know that willpower and determination means nothing when used in the wrong way. This is what almost every Thai champion has done since they were children, and after a decade or more of this process, they eventually become champions. But what if you didn’t start as a young child, and don’t have 10-15 years to let the “slow and steady” gains build up? 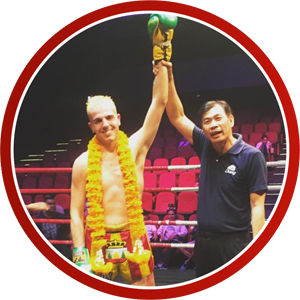 And why is it that some foreigners are able to catch up so quickly and compete with the best Thai fighters in the world, despite YEARS of less training and HUNDREDS of less fights? The problem with the “Thai-style” Strength & Conditioning is that gains are slow! A regimen built almost entirely on running, skipping, push-ups and crunches is a terribly inefficient way to build athleticism. It was all they knew back in “The Golden Age”, so it makes sense why this has been the go-to regimen for Thai boxers. But sports science has rapidly evolved since then. And with a better understanding of scientific principles and training methods, today’s athletes are able to achieve in 5 years what used to take 10-15. Yet so many fighters and coaches are still stuck on the “traditional” way of doing things. Many refuse to evolve, sometimes out of pride or valuing “tradition” over truth. And while many fighters are doing their best to learn and adapt… there is so much conflicting information on Strength & Conditioning, and a lack of knowledge on how to do it specifically for Muay Thai. This results in many fighters wasting time and energy on training methods that aren’t practical for Muay Thai. So while their performance may improve in the weight room… they don’t become much better fighters in the ring. So the few fighters who execute strength & conditioning properly have an unfair advantage over the competition. Those who train the best, become the best. The best coaches and teams in the world are already using modern sports science to build superior fighters (I would know, because I’ve been invited to work with these coaches & teams, to bring their fighters to the next level). And to peak exactly on fight night and ensure maximum performance when it matters most. And this is precisely why these teams and their fighters are able to rapidly rise to the top, and stay at the top when they get there! Not everyone has access to a personal Strength & Conditioning coach who truly understands the demands of Muay Thai, and can reliably improve performance in the sport. Not everyone is able to move to a different country to train with the few teams and coaches in the world who actually know what they’re doing when it comes to S&C for Muay Thai. And not everyone has the time and money to spend years studying and learning sports science (on top of work, training, and other life responsibilities) like I did. Which brings me to why I’m here today. 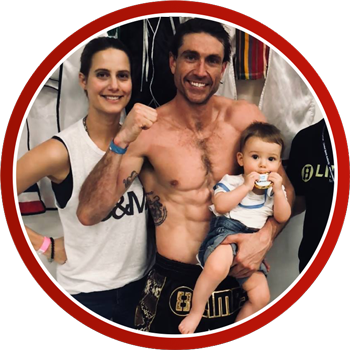 I’m a family man from the UK, a former mechanical design engineer and pro thai boxer, a Muay Thai coach and the go-to expert on Muay Thai strength and conditioning. I always had so much passion for the sport… but between my career and family commitments, I never had as much time or energy to train as I’d liked. I wanted to compete with the best and rise as high as I could in the sport, but due to a career in engineering, I didn’t have as much time to train as the full-time fighters I was competing against. So I became obsessed with Sports & Performance Science and was determined to find the best Strength & Conditioning methods science had to offer. so I could reach my goals despite the limited time and energy I had available. I researched, studied, and trained intensely day after day – in between work, social life, and family commitments – in order to become the best fighter I could. 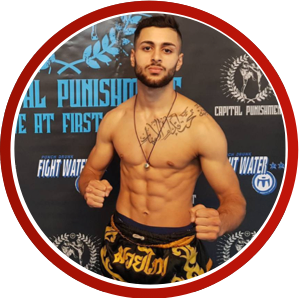 And after years of learning, training, and competing… I developed a system that allowed me to maximum results with minimal time and effort and achieve elite levels of Strength & Conditioning for Muay Thai. I was able to compete and win against fighters 10 years younger, who were in their prime. I won a lot of fights I “shouldn’t” have, considering how much older I was than the fighters I was competing against. 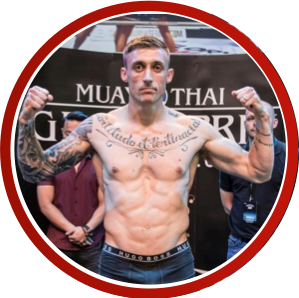 I was able to win multiple amateur Muay Thai titles, a European Silver Medal, and even climbed the rankings and became the #4 ranked pro in the UK at age 40. And now it’s become my mission to use what I’ve learned to help the new generation of fighters reach new heights and take the entire sport to the next level. Using this system, I’ve coached fighters and enthusiasts of all levels to successfully achieve their fight and fitness goals. I had a huge lack of mobility, and suffered from frequent injuries. I was constantly overtraining – I was always exhausted from all the conditioning work I was doing, but kept pushing because my conditioning still wasn’t as good as I wanted it to be. I couldn’t train regularly, or with quality, because of how hard I was pushing myself. I didn’t know how to distribute my training load across the week, so every time I tried to improve my Strength & Conditioning, I was too tired for my Muay Thai sessions. I had to stop training many times due to injury, and spent a lot of time and money recovering. Even though I was fighting professionally, I didn’t look like a pro, technically or physically. And the fatigue and injuries from training and fighting professionally was ruining my personal life. I was about to give up and retire early, until a friend told me about Don and convinced me he could help. 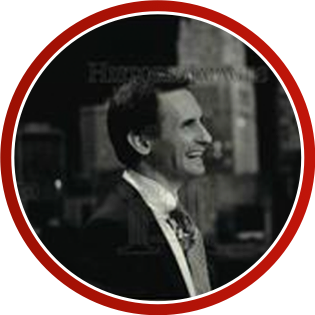 Within one month of working with Don, 90% of my problems were eliminated. In 4 months, I finally looked and fought like a real professional. And most importantly, by eliminating all the overtraining and injuries, I could finally enjoy both Muay Thai and the rest of my life. 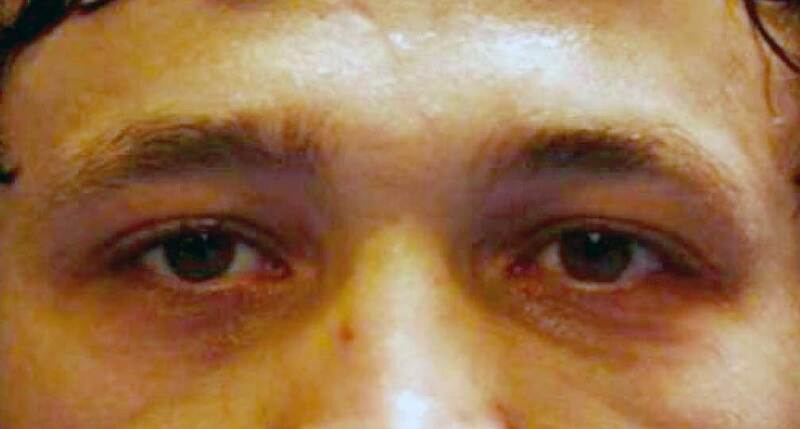 Muay Thai trainers know about Muay Thai, but not about Strength & Conditioning. Physical trainers know about Strength & Conditioning, but they don’t know what being a fighter is like, so they don’t know how to distribute the different types of training. They forget that we are fighters, not runners or body builders. Don was a fighter, still trains fighters and is 100% focused on Muay Thai. At the same time he’s also open-minded and is always improving his methods. So trust Don, because he knows exactly what we as fighters need. Before working with Don, I didn’t really do any S&C apart from random fitness exercises and basic training with weights. I didn’t have any knowledge on what I needed to do to get the best out of my performance. I wasn’t naturally the strongest or the quickest fighter out there, but I wanted to be more powerful with my techniques when I fight. I had a few postural issues with my shoulders caused by the way you stand in Muay Thai. 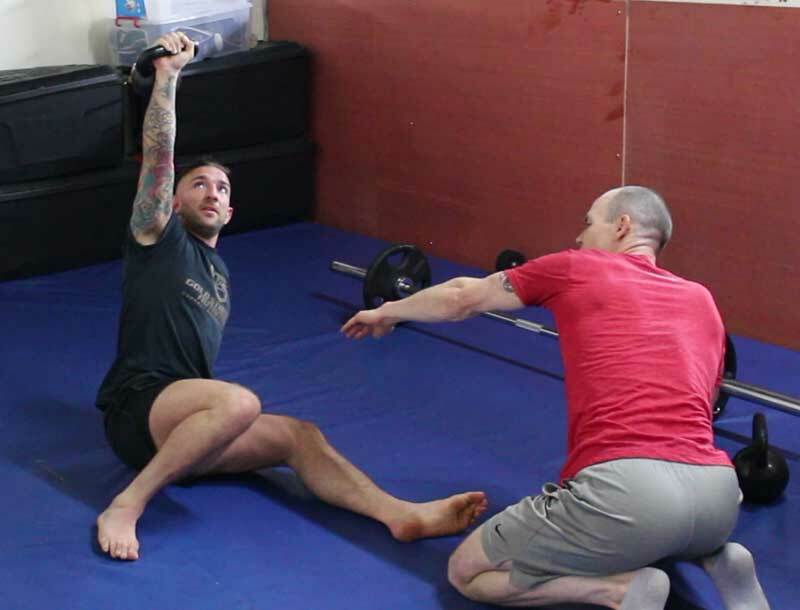 And because I never strengthened the smaller “stabilizer” muscles around my joints, I was lacking in mobility – which led to a few minor injuries, and a lack of speed and power in my fights. My goal has always been to become a world champion and fight in the 2 big stadiums in Bangkok – Rajadamnern and Lumpinee. 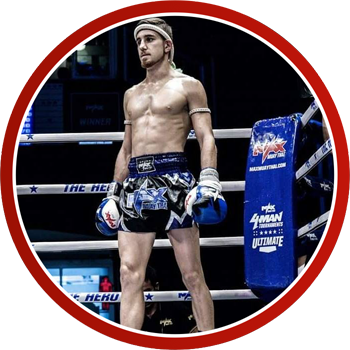 Most gyms in Thailand still don’t use proper S&C as part of training their fighters, so where I might lack in technique compared to the average Thai fighter, I knew S&C could help me beat them in other areas. Since working with Don, my fight performance has improved massively and continues to do so today. Doing S&C with Don has really helped to improve my performance in so many areas, like speed and power of my punches and kicks, strength in the clinch, and better muscular endurance. Don has so much understanding on how to incorporate S&C in to Muay Thai along with recovery methods and nutrition as well. He noticed small things that could help improve my performance in the ring, especially with my body posture – he identified issues that had to be sorted out soon, that would have otherwise caused problems in later life. Training with Don for these years has enabled my mobility to increase massively as I’m given exercises to ‘undo’ the knots in the weak muscles, and then strengthen them. I would 100% recommend Don to all fighters I know, whether they are novice level or professional. 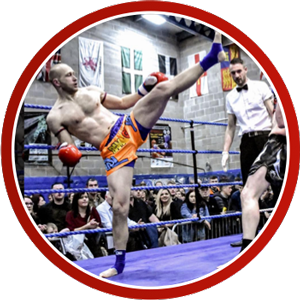 And he is flexible and will give you a plan to work around your Muay Thai training, work/school or any other commitments you have. When I started doing S&C on my own, I was doing normal bodybuilding gym workouts with normal 20-25 minute runs and fatiguing my body out, which wasn’t needed at all. I was never as strong or fit as I wanted to be, no matter how much work I put in. 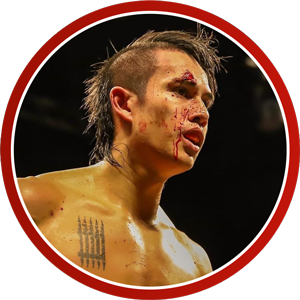 I wanted to have better strength and conditioning… and wanted to learn more about all the physical attributes needed for proper Muay Thai performance, to make me a better fighter. I trusted him, began to work with Don and I have no regrets whatsoever. Things changed a lot. I stopped my bodybuilding workouts and 20-25min runs. Strength and Conditioning routines were introduced along with a proper cardio conditioning program. Working with Don really helped me achieve my goals – I got the proper strength and conditioning workouts and schedules, and of course learned more about my body more and performance… and I’m still learning as we speak. You’ll get more knowledge about how your body works and performs. You’ll learn the science of performance in Muay Thai, and how you can correct your technique and energy usage. He gives you everything in the program. One more thing… gradually as you’re on the program you will start to see more improvement in your performance. The more you keep going the more you will achieve. And now, I’m looking to invite a new cohort of aspiring Muay Thai fighters into my premier Strength & Conditioning program, where I’ll personally be coaching you to become the strongest, fittest, best fighter you’ve ever been. I’ve made it my mission to create and design what I believe to be THE most effective & complete Strength & Conditioning system for Muay Thai fighters to date. The only Strength & Conditioning system designed specifically for Muay Thai fighters, providing them with the step-by-step process to develop elite fight-specific athleticism by leveraging only the most efficient and effective methods that sports science has to offer. This is my life’s work. I’ve spent nearly 25 years of my life training, fighting, and coaching in Muay Thai, and over 10 years developing this Strength & Conditioning protocol. …without sacrificing the their families, relationships, or careers for training! And as far as I know… there is currently no other Strength & Conditioning system developed specifically for Muay Thai fighters in existence. The Heavy Hitters program starts off with baseline assessments and preparation, then follows the Optimal 12-Week Fight Camp format. Baseline Performance Test – assesses your general athletic strengths & weaknesses and creates your Baseline Performance Profile. Acceleration Call – we’ll get clear on your goals, review your test results and identify your strengths, weaknesses, and highest leverage opportunities. 2019 Optimal S&C Training Plan – on the Acceleration Call, we’ll talk about your 1-year game plan for maximum growth and performance. We’ll optimize your entire training schedule in 2019 for any upcoming fight dates OR maximum progress over 1 year, if you don’t plan on fighting in 2019. This should all take about a week or so, depending on how quickly you can do the tests. After just one 12-week fight camp, your strength, power, speed and endurance will have significantly improved. By the end of the year, you will be a completely different fighter. I’m afraid I’ve now closed enrolment to the program, to work with the students from this intake to ensure they get results, and upgrade the program based on feedback. And if you’d like me to let you know at the earliest opportunity next time enrolment opens, please join the waiting list. GET ON THE WATING LIST! I’ve spent the last 25 years developing this Strength & Conditioning system for Thai boxers and I have never seen any other program that consistently and reliably generates significant results like this does. This system has been tested with over 120 athletes, ranging from total beginners to world-class fighters, and the system has produced significant results in every single athlete that followed the program. And I have never even once been asked for a refund. Simply because this system works, as long as you do. Go through the prep module and the first 3 core modules. Submit your performance tests and show up to your 1-on-1 coaching call each month for the first 3 months of the program. Just shoot an email to support@heatrick.com to get a full refund. How is this different from anything else I can find on the internet? Can't I figure this all out on my own? You can certainly figure it out on your own. I’ve even provided the scientific basis for this program in a video series – The Science of Building Champions – and have summarised the most important, practical elements in The Optimal 12-Week Fight Camp Blueprint. But this is NOT just another program with sets / reps like you can find for free anywhere online. And the exact programming of sessions throughout the week to optimize energy systems and recovery is not so easy to figure out, especially for the sport of Muay Thai where you have to balance cardio, resistance training, and technical training across the week. You get the principles and theory that teach you how it all comes together, so you understand the why behind everything you do. As all champions know, the road to victory is never a straight path. You will surely run into less-than-ideal situations where you’ll need to use your knowledge to make the best possible training decisions based on your specific circumstances. So I’ve made videos to cover the fundamental principles and theory in addition to all the step-by-step plans and instructions, so you can make the best possible decisions no matter what obstacles you run into, both now and for the rest of your career. I'm already experienced with lifting and/or S&C. I’ve done it myself for a several years already and/or worked with other coaches in the past. Will this be too basic for me? I’ve had many experienced fighters and athletes use this program to get faster, better results than anything they’ve tried before. In fact, it’s the experienced ones who often get the fastest and best results, because they’ve already got the athletic foundation or skill needed to run the program properly. They’re experienced in the weight room and don’t need to take as much time learning the movement patterns and exercises. And they’ve got the work ethic and discipline to do what needs to be done without excuses. So the biggest game-changer in joining this program is learning how to learning how to structure their training – including cardio, skill work, strength training, and sparring – in a way that optimises for maximal gains, and manages both recovery and fatigue. This allows them to break past those plateaus they’ve been struggling with for years, since they’ve already made significant progress toward their genetic potential. The closer you get to your genetic potential, the more careful & strategic you have to be with your training to ensure you continue to grow rather than plateau. A single session programmed incorrectly, with too much volume or in between other grueling technical/sparring sessions, can leave you too fatigued for your body to recover and kill your progress for the rest of the week. Heavy Hitters 2.0 is optimized to ensure maximum gains with minimal fatigue, and prevent compromise between different training sessions. So for more experienced athletes and fighters, this program takes the work ethic and discipline they already have, and channels them toward the most efficient efforts and methods, to create growth and development faster than anything else they’ve tried before. I don’t plan on fighting anytime soon - do I still need to follow the 12-week fight camp structure and “peak” for a fight, even though I don’t have one coming up? You will still follow the 12-week fight camp structure. 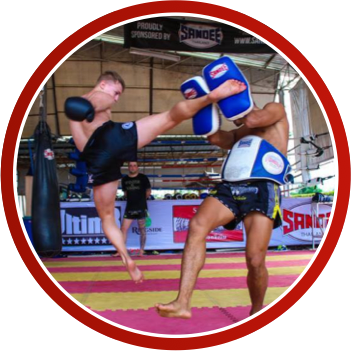 This is the ideal format for developing your fundamental athletic qualities – strength, power, speed, and endurance – in the balanced ratios ideal for Muay Thai. While fighters will want to prolong specific blocks for “more gains” in a certain area, there is a significant disadvantage. For example, some may want to extend the Functional Strength block for as long as 8-12 weeks because they’re ecstatic about the progress they’re making in their squat/deadlift/bench press numbers. So they want to continue full-speed ahead and continue to make as much progress in this area as possible. The problem with this is that it creates an imbalance of strength-to-speed that is counter-productive to performance in Muay Thai. The extended time period training slow-twitch contractions takes a toll on their explosiveness, agility, and speed. So they inevitably become slower in padwork, bagwork, sparring, and fighting because their training created adaptations suited for slow-twitch functions. And when they finally start to convert strength into power, the process loses efficiency – a lot of conditioning and movement patterns must be undone in order to re-optimise for Muay Thai, and some of the strength they built in the last block isn’t fully converted into power later on. To put it simply… they satisfy their ego with bigger lift numbers in the short-term, but gains are lost in the long-term. The key is to train to create the right adaptations, in the right order, with the right ratios and timing. Otherwise your body will optimise for other activities – e.g. olympic weightlifting or powerlifting – rather than for Muay Thai. It’s a delicate balancing act that must be treated with respect and precision. 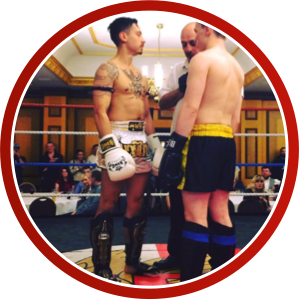 This is where Functional Training and Periodisation come in – to ensure your body is optimised specifically for Muay Thai, rather than anything else that doesn’t matter come fight night. Trust me when I say I’ve put a lot of thought and consideration into this, and I’ve tested with countless athletes and have fairly considered all options – until you’ve used this system for about 1 year to reach a certain level and balance of strength, power, speed, and endurance… it’s not worth it to play around with what’s laid out in the program. I'm a frequent fighter and often fight at least once per month - can I still run this program? Yes, absolutely – in fact, so many of my students are frequent fighters that I’ve included modules that explain exactly how to program your S&C to fit your frequent fighting schedule. And we can use your 1-on-1 calls to optimise the program for your specific fight dates, to ensure you’re successful in both the short-term and long-term. I completely understand. It’s tough to be a fighter. Muay Thai isn’t a money sport, and you’ve got other bills to cover, including your MT training, food, rent, and all your other life expenses. I’ve been in this boat myself. Even pro fighters don’t make a huge amount of money in this sport. So I’ve made this as cost-efficient as possible, to allow dedicated fighters to get all the benefits of a personal S&C coach, without the massive price tag that comes with working with someone in person. This system is also designed to prevent injury by strengthening your joints/tendons/ligaments, installing proper functional movement patterns, and increasing your balance, mobility, and range of motion. By following this program you will significantly fortify your body, and are likely to spend much less money fixing injuries in the long run. There is a cashflow-friendly monthly payment plan for those who can’t afford full payment, but are committed to running the program this year. I want to do this but won’t be able to start right now because I’m too busy. Because intake for this program only happens 1-2 times per year, those who join the program now will be able to postpone their coaching start date until they’re ready. The commitment required for this program is 2 resistance training sessions (60+ minutes each) and 2-4 conditioning sessions (15-60 minutes each) per week. This amounts to about 3-4 hours of training per week. If you absolutely do not have time to add more training to your schedule, this is not for you. However, if you are already training Muay Thai 6x or more per week, it would most likely be worth it to replace 1 or 2 of those sessions with HH S&C sessions (due to the 80/20 principle and “diminishing returns”). This program is already optimised to ensure you get the greatest results in the least amount of time possible. I’ve spent years researching and testing all of this, and I’m still learning and improving every day. This is my life, and it is my mission to bring proper Strength & Conditioning to the world of Muay Thai. I made this system to provide dedicated fighters with the best, most productive training methods precisely so they could spend less time trying to figure it all out themselves. So all that time you spend sifting through all the conflicting information on the internet, researching and testing methods that may or may not work – you can now use this for training. We can put your coaching on pause, or modify your program to help accelerate your rehab. We’ll make sure you get back up to speed as quickly and efficiently as possible, so you can continue your progress from where you left off before your injury. How does “online coaching” work? First we’ll get on an Acceleration Call in your first week to get acquainted and clear on your individual goals and circumstances. 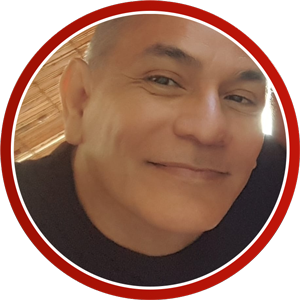 I’ll give you my personal suggestions and advice to help you meet your goals with this program. Then each month after that, we’ll get on a call every month to review your progress and ensure you’re on the right track for the next block of training. You also have personal message access to me, so you can ask any questions that you want answered without having to wait until our next call. This gives us the best of both worlds… all the benefits of a personal coach, with the freedom and flexibility to do your training on your own schedule. In order to succeed, you need to have the focus and discipline to put in the work yourself. I am committed to you, but I cannot be committed for you. If you have the work ethic and discipline to put in the work, and follow the guidance I give you in the program, there is no doubt you will completely transform as a fighter and athlete even as soon as the end of the first fight camp. Why is the refund term so long? It’s made this way in order to ensure that you get the results you signed up for. We live in an era where almost everything sold online is supposedly a “magic pill” or “instant success formula”. This is not a magic solution that will make you a champion overnight. This is a system based on principles and theory. It is meant to be molded to fit your specific goals and training situation, which is why instructional & theoretical videos are included, as well as 1-on-1 coaching calls. This system works only if you put in the work. And it does NOT create “instant” results. It takes consistent effort in the right direction to achieve success and move toward your goals. I’ve received many testimonials from clients and students telling me they’ve achieved significant results as early as the first couple of weeks. But after 3 months, there should be no doubt that your performance has significantly improved. If this is not the case, just shoot me an email at support@heatrick.com to get a full refund. Still not sure if Heavy Hitters 2.0 is right for you? You live a busy life and training schedule – you’ve got work, school, relationships and family to attend to, on top of all the training you do. This is the minimum equipment you’ll need. You are better off with my TRX and Cardio Conditioning programs. Your highest priority is strength training or bodybuilding, and not Muay Thai. If you prioritise S&C over MT training, you’ll become a great general athlete rather than a great fighter. No true fighter can afford to neglect MT training – this program is a supplement, NOT a replacement for your Muay Thai training. You will be better off with another program, as this program is designed to prioritise Muay Thai performance and fight-specific athleticism over anything else. If you can afford it, nothing beats working with a competent coach in person. If you’re one of the few that is fortunate enough to be working with one (because there are very few in the world who understand both S&C and Muay Thai) – count your blessings, stay committed to doing whatever your coach tells you to do, and DON’T join this program. The last thing I want you to do is to split your focus between your current coach, and my program. Full focus is the key to success in any endeavor. If you’re going to split your focus you can forget about making any significant progress. Because the thing about half-commitment is that it doesn’t get half-results… it gets NO results. This program is based on scientific principles. And to really improve as a fighter, you’ve got to at least understand the basics of how your body works, so you’ll know how to use it to its fullest potential and make proper decisions on a daily basis. Part of the fighter’s journey is learning and gaining master over yourself – your body, mind, and spirit, how each of them operate, and how to use them to their fullest potential. If you are totally afraid of science and learning, and aren’t willing to face the responsibility of making educated decisions on your own… this is not the right program for you. FINALLY! A Big Win! MTA NSW State Title! “I’m not 20. I’m recovering from ACL surgery, I was pretty blue because I’d never had a win at the sport I’m obsessed with …And I have an 8-month old teething child! “Tailored strength and conditioning for Muay Thai from the very best. 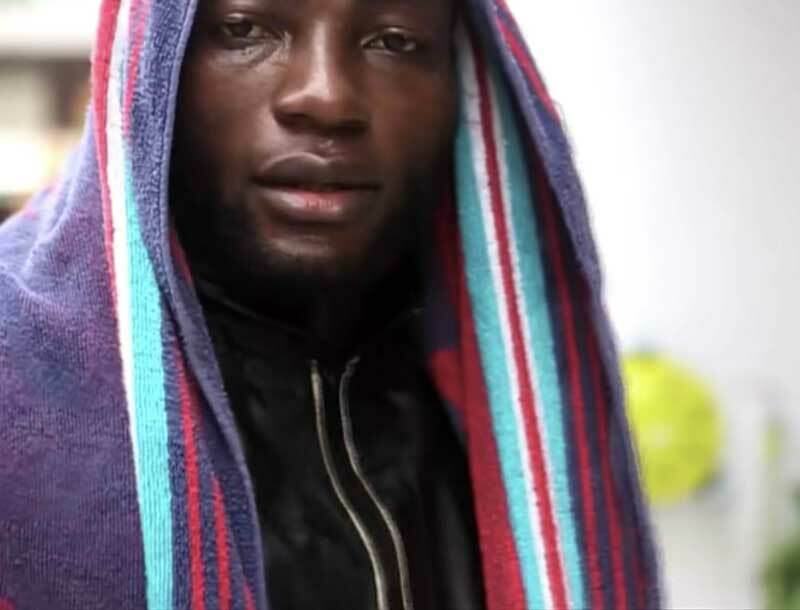 “I just won my 5 round fight and thanks to Dons programme I didn’t gas and felt I was striking with power until the last bell! “Hey Don! I won my fight last weekend! Just wanted to thank you for all your help. 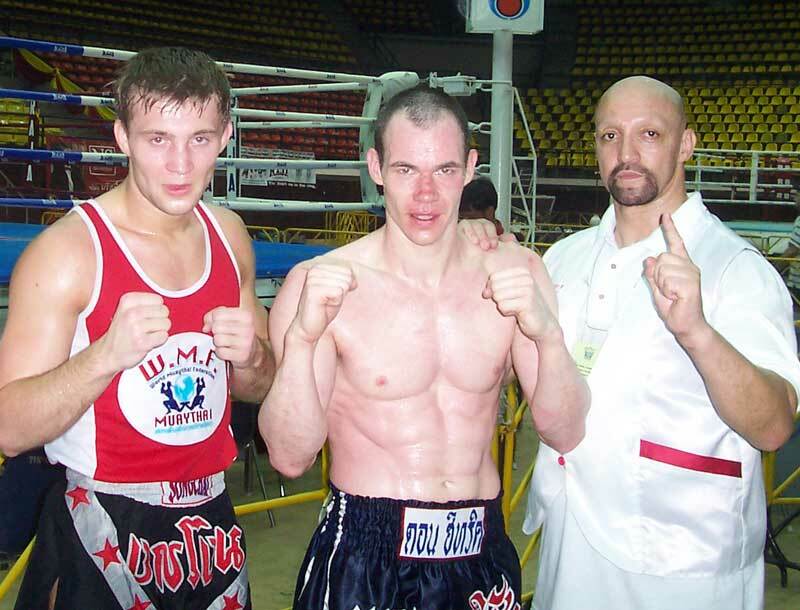 “As an experienced coach and fighter for many decades, I can unequivocally say that Don Heatrick’s online Muay Thai strength and conditioning programs is one of the best you’ll find. “Don Heatrick really knows his stuff. The program has been a wise investment. “I have gotten some great results from his teachings and so have my students. “My engine is running the best it ever has and I am very grateful. 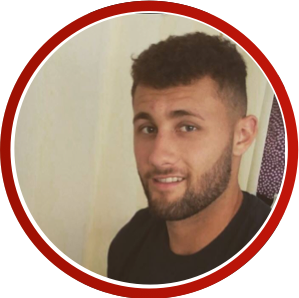 “Hi Don, loving the training and definitely feeling fitter and stronger all round. 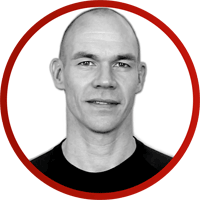 “…It’s been much more productive than dozens of physios, both NHS and private, and a handful of osteopaths so far! “…This program has been awesome. So brutal, but I am feeling clear results. Train…Without Being Too Sore Or Tired! “…Challenging enough without being ridiculously hard. Anyone can design a program that kills you. “…I feel much sturdier and stronger overall, while maintaining agility and explosiveness.